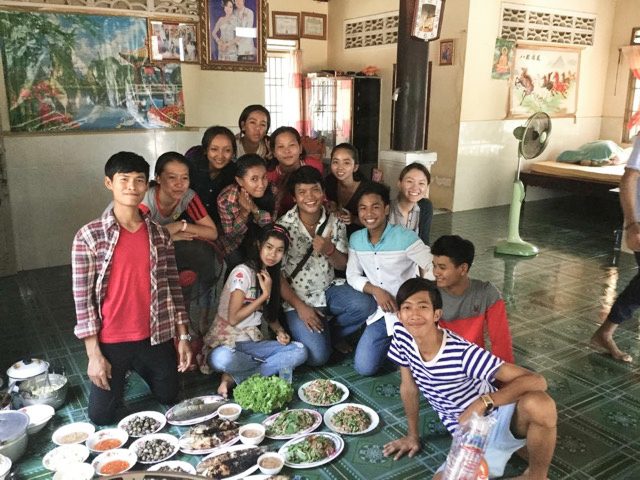 June 2016 – Project Khmer H.O.P.E. This is to inform you that this Tour is fully subscribed and registration is now closed. 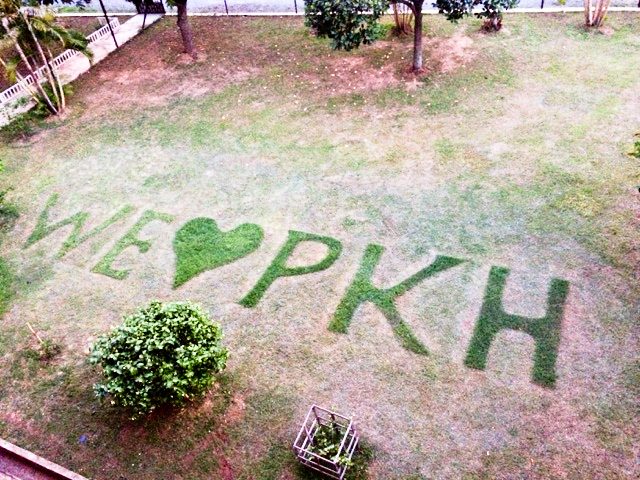 However, do watch this space closely as we will continue to update you on what’s happening at PKH! Cham riap su. How are you today? It’s always good to be back. But this time when I’m back, I’m actually missing my second home a lot. A place where love is expressed in many ways. The female students will often hug me before they go to sleep. Maybe that’s the real reason why I have not been sleeping properly in Singapore, because I broke that routine when I’m back here. I had to unlearn a lot of things that I’ve learnt in Singapore. I had to stop using Singapore as my benchmark when it comes to living standard. When I first arrived at Cambodia, it was the dry season. So water and electric source will be cut off every now and then. I had to ensure that I always have water in my tub, just in case there is a cut of water supply. I complain of the heat in Singapore when it’s always 38 degrees in Cambodia during the day. Of course one of the things that I’m proud of is the ability to disconnect from internet most of the time, because internet was simply unstable and I give up most of the time. There were a lot of things I had to be sensitive to. A recent example was at a house fellowship party. When I saw the students using condense milk to season the barbeque meat, I raised my voice and asked “What are you doing? !” They said they are seasoning the meat to make it sweet. I asked why don’t you use honey instead? Their answer was “We will never be like you Teacher. Cambodia will never be the as rich as Singapore.” I was dumbfounded yet again because it was not the first time I was caught in such situation. What touched me the most is the big heartedness of the students. They make me ponder on things that I’ve not done in my life. They are poor, but never forget to pray for the poorer people. And they are extremely thankful for the little things in life. So happy to bless others when you know they have so little themselves. It makes me wonder…. What have I been praying about last time? My prayer pointers are usually about my friends, myself and my career. Indeed very self-centered topics. The issues of the believers in Cambodia are very different from Singapore. They face persecution at home when they choose to believe in Christ Jesus. There is this once when I went to the girl’s dormitory and saw one of the students crying very badly. She told me that her mother is extremely upset that she became a Christian and said that she will disown her if she still continues to choose this faith. It makes it more difficult in Cambodia because their culture is such that they will always respect their parents a lot. Anything that their parents say, they will follow. A lot of students come from single parent family or they grow up as orphans. And there are so many times, they taught me to be resilient. It caused me to appreciate and express my love to my parents in Singapore more. But there are also students who blame God for putting them in that situation. So this is what I’m struggling, because I cannot truly empathise with some of their problems. And even if I do, I will end up crying buckets because I cannot imagine myself in their situation. It just dawned on me that the issues of a first world country is so small compared to Cambodia. I never felt lonely before when I was at PKH. I told the students that they were like my family. And it’s just heartwarming that this year I received my first Mother’s Day card. Such a special year for me this year. 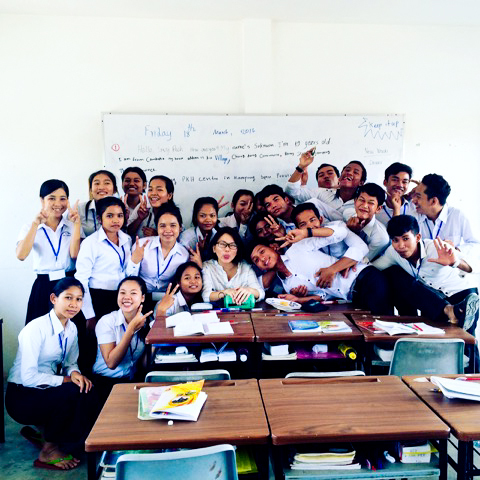 When I care for my students, they will really express their love by saying “I love you”. I’m not used to hearing that so often actually. LOL. Life at Cambodia is way more challenging than I thought, because there were many hats that I had to wear. In Singapore, I only had to be a daughter and an employee. But when I’m at PKH, I am a teacher, a spiritual mentor, a mother, a sister, a pharmacist (dispense medicine when the students are sick), a first aider, a counselor and a friend. There are a lot of things that I just got to tell myself that I do not have them the same as Singapore. (There were times that I caught myself thinking “I would have never thought that I will be where I am now.”) Again and again He guided me when I didn’t know what to do. 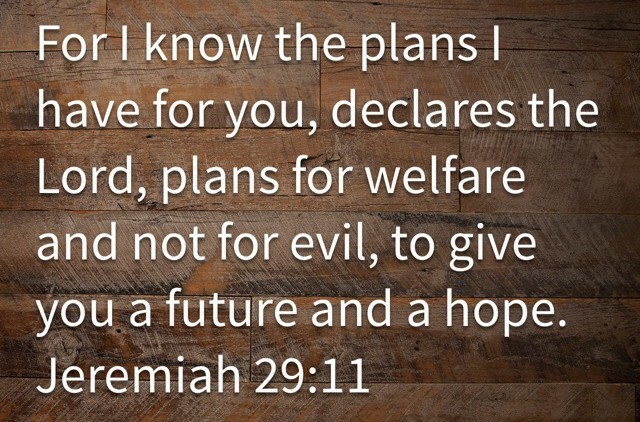 There are so many other situations that I’m caught, but I will just pray. 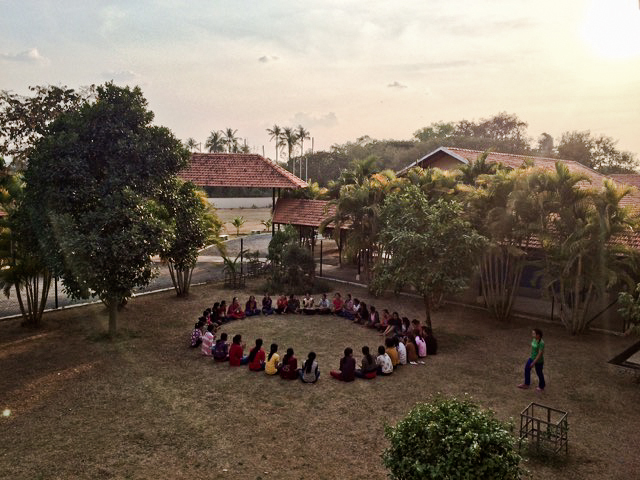 But our God works in an amazing way, because my 3 months in PKH really changed me.